Providing these life-sustaining and life-saving services require a dedicated and committed staff. This physically demanding and often emotionally draining work falls to the devoted Members of UMWA Local Union 9462. These sixty Members make up every facet of the hospital staff, including Licensed Practical Nurses (LPN’s), Housekeepers, Dietary Aids and Maintenance Technicians. 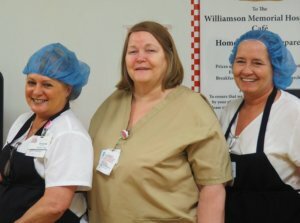 Brenda Miller, Local Union President Susan Blackburn and Tammy Davis are three of the more than 60 members of Local Union 9462 in District 17 who work at Williamson Memorial Hospital. In recent years, the hospital and employees have been recognized by the Joint Commission – the nation’s leading health care standards-setting and accrediting organization – for exemplary performance in providing patient treatment for Pneumonia, Surgical Care and Immunizations. They are one of about 1,000 hospitals nationwide to receive such a distinction. The Joint Commission also recognized the facility for following the strict guidelines and standards to effectively manage and meet the unique and specialized needs of the patients. 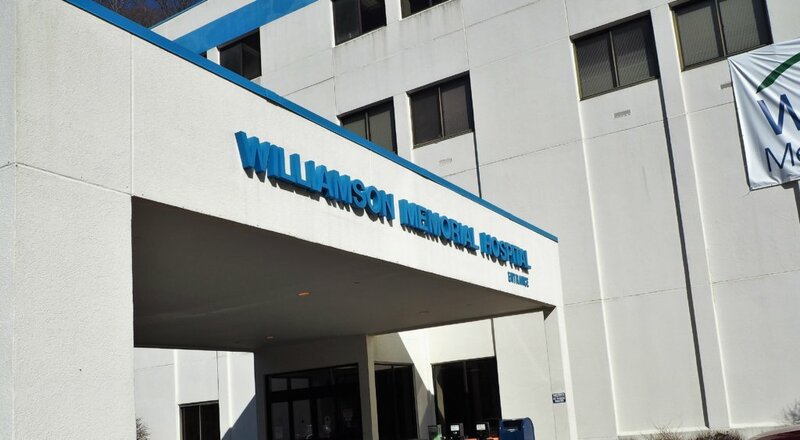 Williamson received this prestigious Commission’s Seal of Approval after specially trained investigators assessed the Hospital’s overall practices and determined they met the necessary standards for compliance. 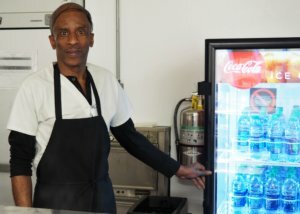 Michael “Rick” Mosley has worked at Williamson Memorial for over 23 years. He is currently working as a dietary aid. 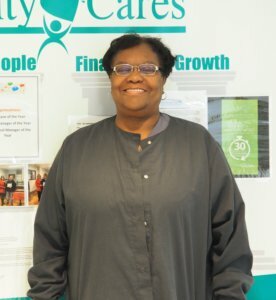 Gladys Baker works in housekeeping at the hospital and has been a Member of Local Union 9492 for over 20 years.